The Wheelchair Service provides assessment of mobility needs, pressure care and postural support in a wheeled device. The service provides the appropriate mobility equipment which allows patients to be mobile both in and outdoors. Read about our local offer for children, including information on how you can access our Halton and St Helens Wheelchair Service. Equipment is issued to patients who have long term mobility problems due to medical conditions and physical disability. Equipment is issued to meet their basic mobility requirements and associated postural and pressure needs. This service also issues wheelchairs on a short-term basis – for up to 3 months. Wheelchairs are usually provided for special reasons, such as palliative care, acute trauma or lower limb fractures. A patient who already has equipment on issue can request a review directly with our service. However, certain requests may require a new referral and patient’s will be advised accordingly. Patients are encouraged to attend clinic where equipment is held locally. However, the requirement for a home/school/day centre visit can be discussed on an individual basis. We will normally pay for the cost of repairs, except in cases of misuse, negligence or loss. 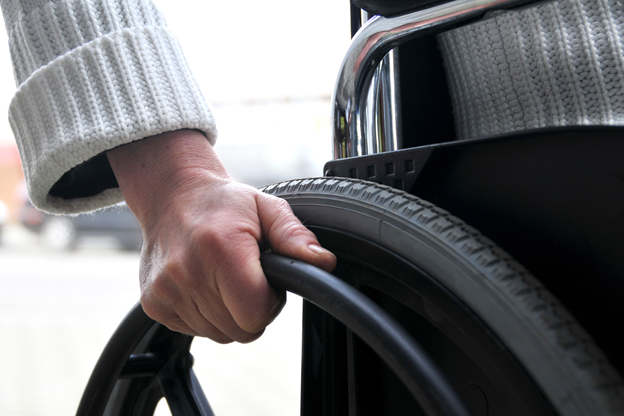 If your wheelchair requires a repair, contact the authorised repairer immediately. They have 3 working days to respond to a request for a repair. The day the fault is reported is day 0. The Authorised Repairer will prioritise action being taken accordingly. They will inform you whether your visit will be morning or afternoon. Repairs will be completed on site, whenever possible. However, it may be necessary to call back on a second occasion with any parts to complete the repair. In some instances, it may be essential to collect your wheelchair for repairs in the workshop. Transferring lives through sport- free membership- for all ages. Registered charity and is the representative body of wheelchair basketball in England, Northern Ireland, Scotland and Wales. Helping children and young people with Cerebral Palsy enjoy sport. Free Courses equip young wheelchair users with the skills to become independently mobile so that they can enjoy the same activities as their able bodied peers. Offers a wide range of services one of which is to help families who have a child or young person with autism or learning difficulties. Guide to everything and anything accessible – for wheelchair users and those with reduced mobility. Rica usability research may interest OTs looking in more detail about WAVs. Rica’s research involved stakeholder interviews, focus groups and two full days of user testing with six users and eight WAVs at QEF Mobility Centre in Surrey.